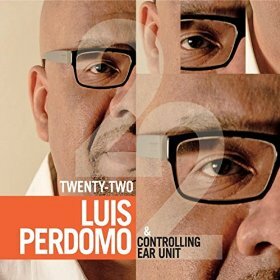 Once you stop trying to find the significant allusion to “Controlling Ear Unit” you will have a much easier time enjoying the absolute grandeur of this album by Luis Perdomo. The world of Twenty-two is a private one. It refers to the time Luis Perdomo has spent in the United States after his sojourn from Caracas. 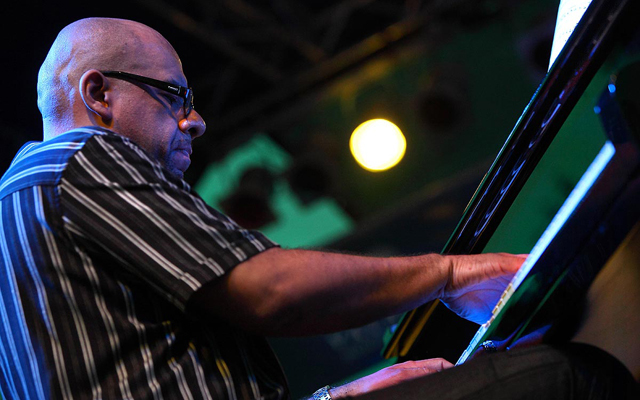 Some of this time has been shared by a number of musicians with whom Luis Perdomo has shared the innermost machinations of his music, as it unfolded from Venezuela to the United States of America. But there is much more existing in the interior landscape of Mr. Perdomo’s mind. Both the calm and the restless existential anxiety of introspective worlds have uncanny ways of expressing themselves in the world of aural art. Luis Perdomo found a breathtaking way of expressing himself here. Dark hued and full of dramatic mood shifts, his pianism soared through introspection finally bursting through into the open with profound beauty. For this reason – and this reason alone – Twenty-Two is a priceless record. There is dynamism and a swirling energy in the music of this record. Piano, bass and drums are locked hand-in-glove in a dramatic collaboration. Luis Perdomo has never been one for pointless, frilly pianistic work. But he is not workman-like in his approach to his instrument either. His heart dictates how his fingers will strike the keys. And so ebony and ivory is caresses in sensuous motions. It is amid this romantic dalliance that Luis Perdomo creates his music. Phrases jump at you as often as they sneak up on you. Lines might be long and full of serpentine twists and turns, but they might just as easily dart excitedly sparking dramatic and explosive chain reactions. In his hands the piano basks in beautiful burnished tonal coloration. Music is brought to life with vaunted melismas. When a pianist plays with as much energy and naked beauty as Luis Perdomo does, it is impossible for the rest of the musicians – in this case bass and drums – not to respond in kind. Mimi Jones’ playing is absolutely lustrous. Her pizzicato is electrifying, speaking her monstrous technique. Her playing con arco is simply ravishing. It has a fabulous swell that wells up in a proverbial vortex consuming all in its path. Ms. Jones works her bass violin as if were astutely harnessed to her body. Its contours become her contours almost as if the two become a sort of couple waltzing beautifully to the music that she creates in another dimension. Rudy Royston is the third character in this dramatically unfolding play. His playing is warm and sparkling, but beneath it all is a well-balanced piece of engineering involving snare, tom-tom, timpani and bass drum and a myriad of cymbals. The manipulation of this battery of instruments comes together as if by magic, becomes with great sleight of hand, a priceless work of art. Imagine what can happen when all of this comes together… What unforgettable music comes out of the swirling eddies of this ensemble – from “Love Tone Poem” to “Days Gone Days Ahead”. And it’s all on this disc, a memorable issue form Mimi Jones’ own label.